Kagome is a modern high school girl who doesn't believe in the old myths and legends surrounding her grandfather's shrine. That is, until the day she falls into the shrine's well and into another time! In Japan's ancient past, Kagome joins the half demon Inuyasha on a quest to find the scattered shards of the Shikon Jewel, a gem so powerful that demons from across the land will do anything to get even a piece. Along the way they gain friends, battle enemies, and prepare to face their deadliest foe and rival for the Shikon Jewel--Naraku! Inuyasha is the kind of show that many fans love to hate. Some of Inuyasha's most regularly ridiculed elements include its obscenely long duration, its propensity to re-use animation during action sequences, as well as the fact that Kagome never wears anything but her school uniform while battling demons. Hell, some people simply despise it because of the insane level of popularity it is amassing. Despite its failings, however, Inuyasha is a show that more than compensates for its weaknesses by virtue of its strengths. 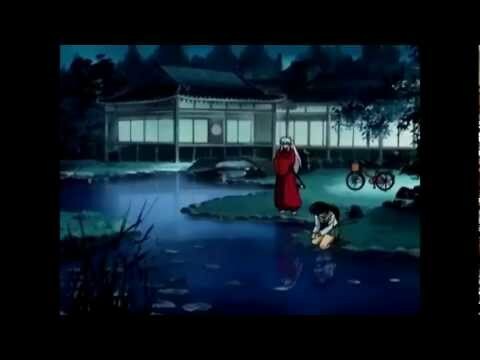 No one has asked any questions, ask a question about Inuyasha?